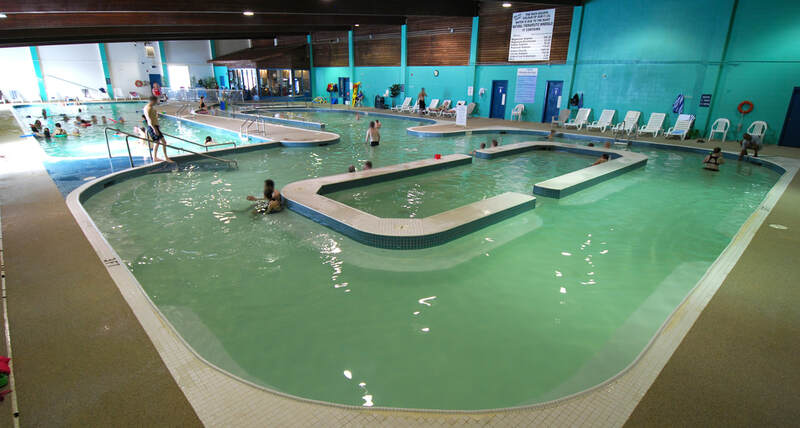 General Description: Manitou Springs Resort & Mineral Spa​ is located on Little Manitou Lake Beach in Saskatchenwan, Canada. Manitou Resort boasts a European-style mineral spa with three soothing hot spring pool. This Canadian Resort offers accommodations and dining. The Mineral Spa offers a wide array of spa services. Location: From Saskatoon, Saskatchenwan Canada is 120 kilometers and is about an hour and 20 minutes to drive to the hot springs. Accessibility: Manitou Springs Resort & Mineral Spa ​is accessible. You can drive up to the hot springs. It is an easy walk around the property. The pools are handicap accessible. Hot Springs: ​Manitou Springs Resort & Mineral Spa is a European-style mineral spa with three soothing temperature sections hot springs pool. The temperatures range from 94 degrees to 102 degrees Fahrenheit. Wheelchair accessibility and childrens’ poolside play area. ​Clothing is required. Bring your bathing suit. The mineral water is treated with chlorine. Hot Spring Tips: ​Manitou Springs Resort & Mineral Spa is known as the dead sea of Canada. The Resort provides accommodations with a ​scenic resort hotel with 102 relaxing rooms and suites, overlooking placid Lake Manitou. Wheelchair-accessible rooms available. The Spa has a fully-equipped fitness center. Manitou offers a water’s edge restaurant and lounge for fine dining or a fun family meal. Unlimited free swimming is included for all registered hotel guests. Day use is available for non guests. Clothing is required. Bring your bathing suit. The mineral water is treated with chlorine. This resort is pet friendly. Youtube Video on Manitou Springs Resort is below.